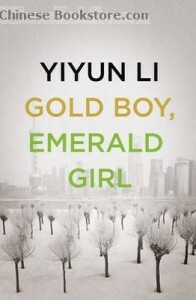 Chinese author Yiyun Li’s book Gold Boy Emerald Girl has been selected as the next read for Chicago’s city-wide book club. The book, which is Yiyun Li’s third release, is a collection of short stories depicting rich and haunting stories from China. The stories often juxtapose traditional values and ways of life with modern society to reveal a vastly complicated China of today not often seen in books. Gold Boy Emerald Girl consists of nine short stories, each of which follows the lives of Chinese characters dealing with the realities of their everyday world and many of whom are haunted by a past tragedy. “Kindness”, for example – the book’s lead-off story – is about a Beijing girl who survived a year in the People’s Liberation Army and now leads a solitary life in a near-derelict apartment block. “House Fire”, meanwhile, recounts a group of middle-aged women who investigate cheating husbands.